Also, if you are using Twitter, Facebook or Telegram don’t hesitate to start following us. 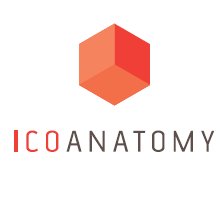 ICOAnatomy is a platform for ICO research with a wide range of filters, real-time cryptocurrency rates and popular cryptofunds listing. Our mission is to make investing more transparent, predictable, reliable and safe for professionals and novices alike. ICOAnatomy offers deep knowledge and professional analysis to help you find and attract investors. We list and rate upcoming, ongoing and past ICOs. Our listings include all the essential information about an ICO – whitepaper, social links, price, promo video, raised amounts, team, road map, etc. ICOAnatomy is designed to be incredibly simple and allow you to do your own research to determine which coins you'd like to invest in. Sure, i'm also glad to have in use such site as yours! ICOAnatomy team welcomes crypto community! We present our mini review on the 0xcert ICO ( https://news.icoanatomy.com/1315 ). Oxcert is a project which offers companies a protocol for non-fungible tokens. Using the protocol as a basis, the companies can easily tokenize their assets to validate their authenticity. To sum up, 0xcert is an open source, permissionless protocol for validating the existence, authenticity, and ownership of digital assets on the blockchain, translating one-of-a-kind digital or real-world assets into non-fungible tokens. We present our mini review on the COTI ICO. Currency of the Internet (COTI) is a new payment network designed to compete with traditional payment platforms such as Visa, Mastercard, and PayPal. The developers aimed to create a simple and secure payment platform capable of scaling to global levels. ICOAnatomy team welcomes Cryptoheresy Forum! We present our mini review on the Pool of Stake ICO. As time goes by, more and more people stress the advantages Proof of Stake (PoS) algorithm over Proof of Work (PoW). Some projects, like Ethereum, are already planning the switch of the consensus algorithm to PoS, as PoW is seen as unnecessarily wasteful and inefficient. How can i follow your review news more logically? We present our mini review on Bank Future Exchange ICO. Bank Future Exchange or BFEX is a decentralized P2P lending service, which uses social credit scores to determine the credit rating of the participants. The developers’ ultimate goal is to provide access to financial services to people traditionally ignored by the banking sector. We present our mini review on PavoCoin ICO. PavoCoin is an ambitious project which aims to revolutionize agricultural process by using IoT, blockchain and its own cryptocurrency to maximize the yield of agricultural products and create a marketplace connecting the buyers and the sellers. The developers aim to create a whole package for hi-tech automated crop production and further distribution through the Pavo marketplace. Although there several smart-agriculture systems already in development, this kind of complex approach has never been tried before.